A letter stating that what the little book that was enclosed with it is intended for. 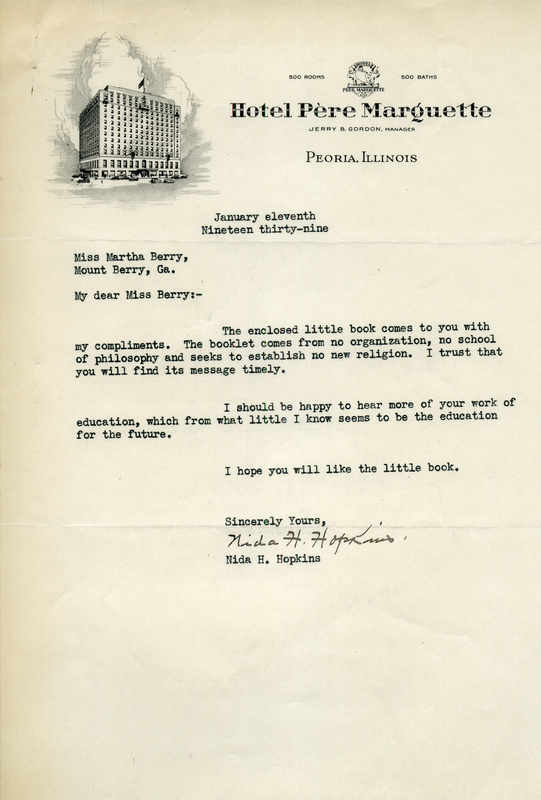 The Hotel Pere Marquette, “To Martha Berry From the Hotel Pere Marquette.” Martha Berry Digital Archive. Eds. Schlitz, Stephanie A., Savannah Harris, Jessica Hornbuckle, et al. Mount Berry: Berry College, 2016. accessed April 25, 2019, https://mbda.berry.edu/items/show/15259.